Kartik Aaryan is flying high post the stupendous success of Luka Chuppi. The film is going strong in its third week and his character Guddu is being applauded by all. But looks like Kartik has yet another reason to party and celebrate his unforgettable character Sonu from Sonu Ke Titu Ki Sweety. The actor last night, won the Best Actor in a Comic Role at Zee Cine Awards for SKTKS. Well-deserved we must say. 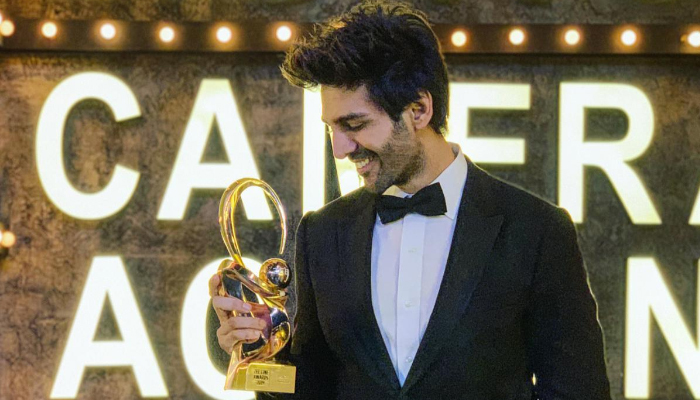 Kartik Aaryan was nominated in two categories for his outstanding performance in Sonu Ke Titu Ki Sweety– Best Actor in a Comic Role and Best Actor in a Leading Role. The actor won in the former category and was all smiles. Sonu’s wicked games to save his friend was loved by all and he truly deserves the accolades. The film has completed a year, but yet no one has forgotten the character and people still watch the film with delight on television. Kartik Aaryan himself too believes that Sonu’s character will always remain close to his heart and it surely changed the game for the starboy in the industry. Kartik even shared the pictures on social media, where he’s seen posing with the trophy and looking ecstatic about his big win. Now that’s truly aww-dorable. The actor loves his parents and he surely made them proud last night. Apart from winning, the actor even hosted the night and made sure that the stars were entertained with his wit and humour. Now that’s why he’s an all rounder. Kartik Aaryan is currently shooting for Love Aaj Kal 2 in Delhi. 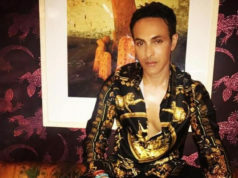 Everyday the actor is breaking the internet, as clippings from the shoot are leaked where we see him along with his co-star Sara Ali Khan, painting the town red. Now we just can’t wait for this one romance to be seen on the big screen.